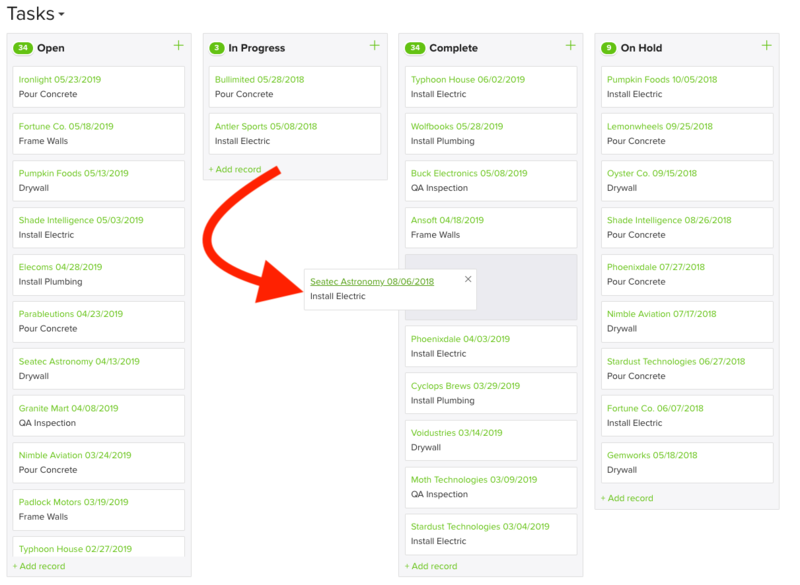 TrackVia has added a feature called Lanes (commonly referred to as Swimlanes) to your view options, to help you create an Agile workflow that is simple to manage for everyone. 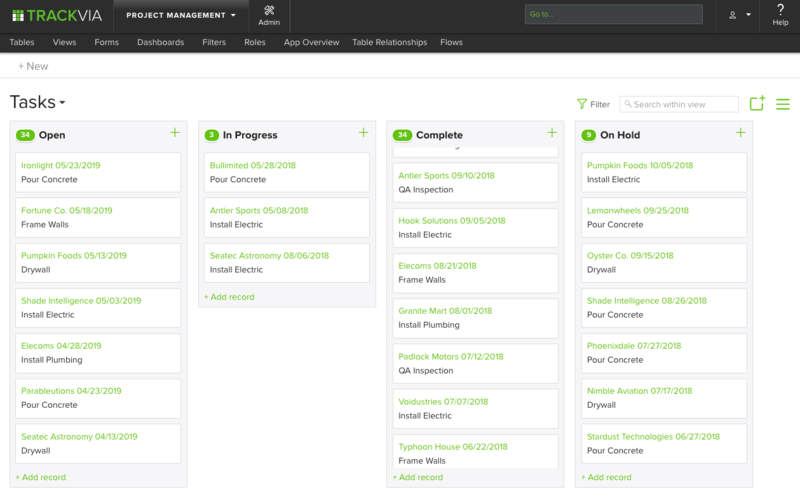 Lanes can be useful for displaying a business process that involves more than one department, or has many stages, or steps to go through in order to be completed. They serve as a great way to organize activities into visual categories. Currently, this feature is available for all accounts at the Enterprise level and above. 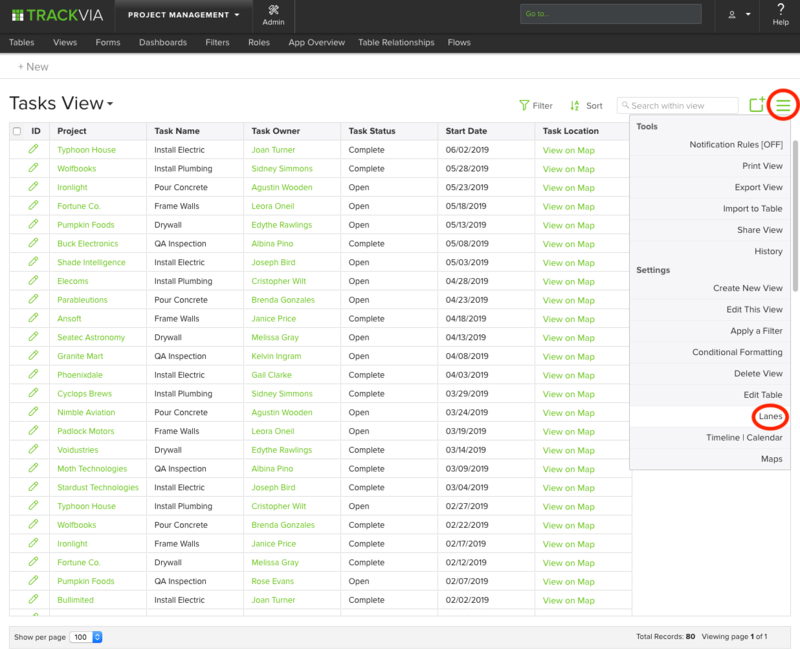 To get started, you will want to choose a view that includes a drop down field type. From here, open the view menu and select Lanes. The next step is to configure your Lanes and the cards that live in them. 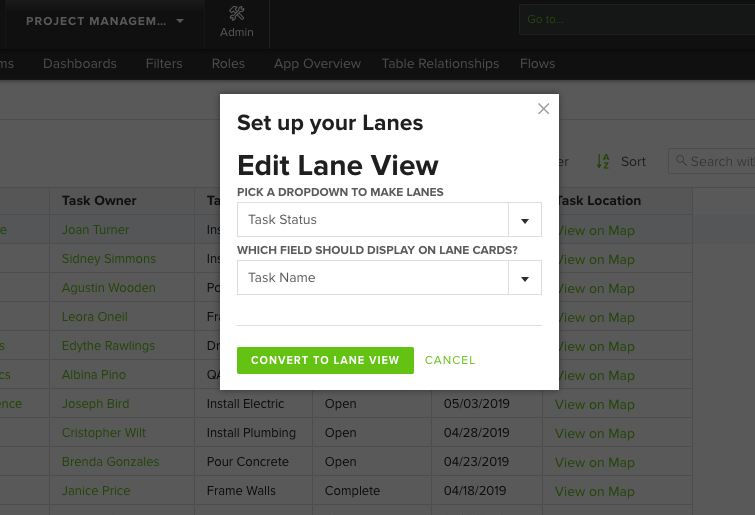 Choose the drop down field that you wish to organize into lanes, then choose a field to serve as the description for each lane. Lastly, click Convert to Lane View. Now, you may click and drag cards to new lanes to change the status, or value, of each drop down. Note: Lanes views will only include the first 250 records from the view.